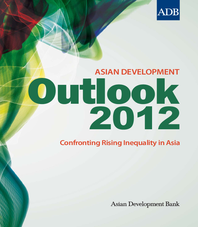 The annual Asian Development Outlook provides a comprehensive economic analysis of 45 economies in developing Asia and the Pacific. The views expressed in this book are those of the authors and do not necessarily reflect the views and policies of the Asian Development Bank (ADB) or its Board of Governors or the governments they represent. The RemittancesGateway portal is a one-stop shop providing the latest news, events, publications, information and statistical data from a broad range of institutions, partners and stakeholders on the subject of remittances, migration and development. The Gateway is a fully interactive website that targets industry, private and public sectors, civil society actors and the development community. Besides sharing information, the portal is a virtual forum for discussion among remittance experts and stakeholders, and an institutionally neutral platform for continuous dialogue. Recent researches coducted by IFAD and the World Bank have illustrated that remittances to and within Africa are the most expensive in the world. Copyright © Remittances Gateway 2019. All rights reserved.